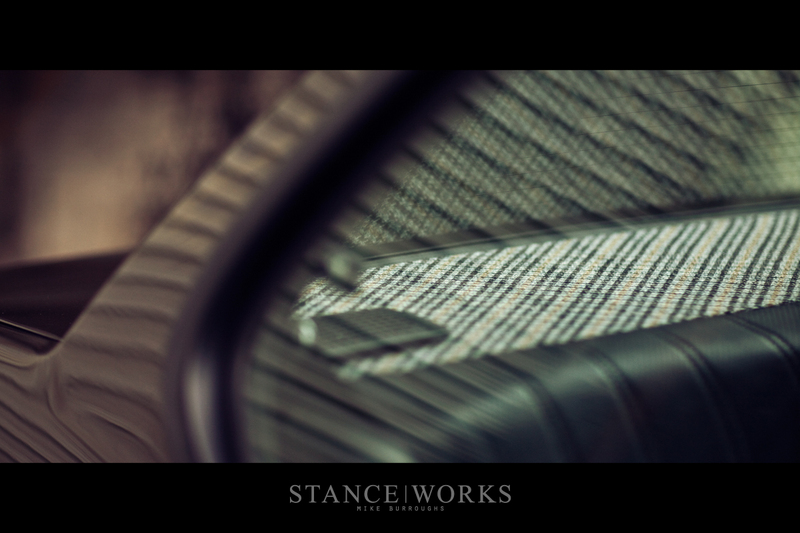 3 years ago, at the beginning of 2009, the idea of STANCE|WORKS came to fruition. It was the product of frustration with the scene at the time combined with the desire to change it. What began as a grassroots blog and a forum that consisted of 10 or so friends posting day to day has grown into more than we had ever imagined. We owe our success to a lot of people; everyone who has taken the time to read the articles we write and admire the photographs we share. The articles that make up our pages are about what we here at S|W find inspirational, from cars, to shops, to company profiles. We're eager to share stories worth sharing. The stories most worth sharing, however, are the stories of the people that inspire us. Sometimes, a STANCE|WORKS article allows us to really share our thoughts and spill our hearts on the people that make up the community. For quite some time I've waited for the chance to write about one of the people that inspires me most of all: Nic Foster. Roll back the calendar almost 42 months ago and you'll find yourself at the very beginning of the US "stance" scene. For us, 42 months ago means harking back to the days of our favorite BMW forum. Every thread seemed to result in bickering and arguing between the guys who modified their cars for aesthetics and those who modified for performance. There was only one right way, and unfortunately, none of us could agree on what the right way was. 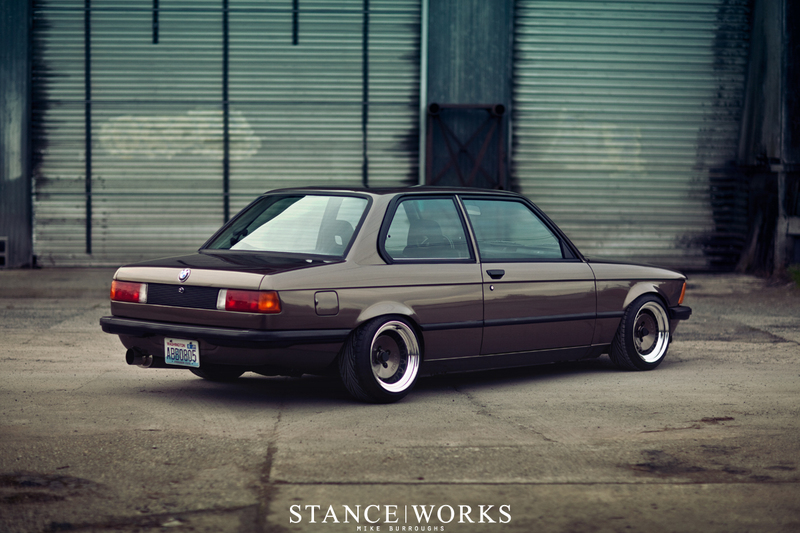 At the time, I found myself with a black E28 and a rusted hood; a recipe that screams "I'm a retard" to the average BMW owner, and I can see why. For Nic on the other hand, not so much. Apparently he didn't mind one bit. After exchanging PMs on the forums and discussing our cars, it wasn't long before we found ourselves talking almost every day. Our conversations covered everything imaginable; cars, music, projects, daily BS, and even personal struggles and feelings about the happenings of our lives. Slowly but surely I had made a true friend. Fast forward to now and I find myself having just returned from Seattle to visit him. The concept of forming friends through the online automotive community isn't new or far-fetched. Frankly, many of us can say a several of our friends, or perhaps a majority, are all thanks to the scene we're a part of. Sometimes these friends become close friends or best friends, but anyone who is lucky enough to know Nic like I do knows that he doesn't fit in to either category. I've yet to meet a soul that doesn't look up to Nic in one way or another. For me, he's been some what of a mentor and a catalyst; a bit of a big brother. From the way he is as a person, to the way he approaches the problems in front of him; he's someone to aspire to. He's pushed me to do the best I can, whatever the subject may be; from the construction of a car to the essence of my life goals. It's in part thanks to Nic that I am who I am today. He's played an immeasurable role in my successes, both intrapersonal and physical. And I know I am not the only one who can say that about themselves: that's just the effect Nic has on you. While perhaps that's a bit unrelatable to those who don't know Nic, or even those that do, it does have some relevance. These qualities, the things that make Nic who he is, are also directly manifested into the E21 he has built. Nic's 320i has been on the planet for more than 30 years now, and not once has it ever left his family. When Nic turned 16, the car was given to him as a gift from his aunt, who bought it new, and ever since it's been an outlet of Nic's expression. Over the years, the car has seen more than one paint scheme, a new engine, track time and show time. It wasn't until 2008, however, that Nic and his wife Stephanie tore the car down to begin the build you see before you. The two gave themselves a 7-month deadline: BimmerFest 2009. While a full respray to the E60 M5's Sepang Bronze Metallic is the most obvious change to the car's appearance, it only glosses the surface. Nic is not the only one keen on the fact that it's all in the details. Stephanie bought the wheels, Ronal Racing splits, behind Nic's back as a birthday gift, knowing he had been eyeing the set for quite some time. Nic and Steph color-matched the magnesium centers and replaced the outers to suit the hand-rolled fender arches. The American market sheet metal was replaced with the european counterparts, and leaded in, to ensure the authenticity of the european bumper conversion. The entire interior was re-done to likes of a wonderful black-and-brown houndstooth. The shadowlining, the mirror deletes, the "big-small" Hella headlights; it's the tidbits and touches that make the car stand out in a crowd of E21s. But while the fit and finish alone are enough to have built Performance BMW's 2009 Car of the Year, there's more to it. Nic's (and Steph's!) enthusiasm behind what he does is driven by his own desires. He has built the car for himself and no one else. While the E21 community, affectionately referred to as the E21 Legion, is an outstanding group of enthusiasts, the idea of restoring a car to the extent Nic and Steph have, and then proceeding to lower it beyond the standard enthusiast's idea of practicality hasn't gone over particularly well. No one would deny the quality of the car, but needless to say, if the Fosters had a dollar for every time they have heard "what's wrong with the camber of the rear wheels," they could probably afford to build another. 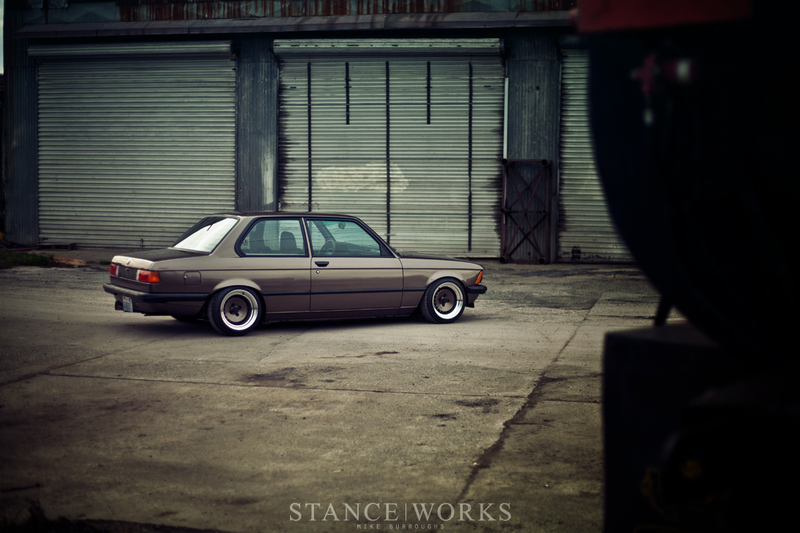 And while Nic's car certainly isn't "wild" by any standards, it would have been plenty easy for him to have built the car in a direction more appealing to the group of E21 owners he had known for so long. Simply put, he wasn't afraid to break the rules his community. It lends ear to the notion that Nic can follow his own advice. He's arguably built the best car he can, and while at it, wasn't afraid to build the car he envisioned. More importantly, he's taken a car and turned it in to something much more. While Nic might tell you "it's just a car", I'd beg to differ. 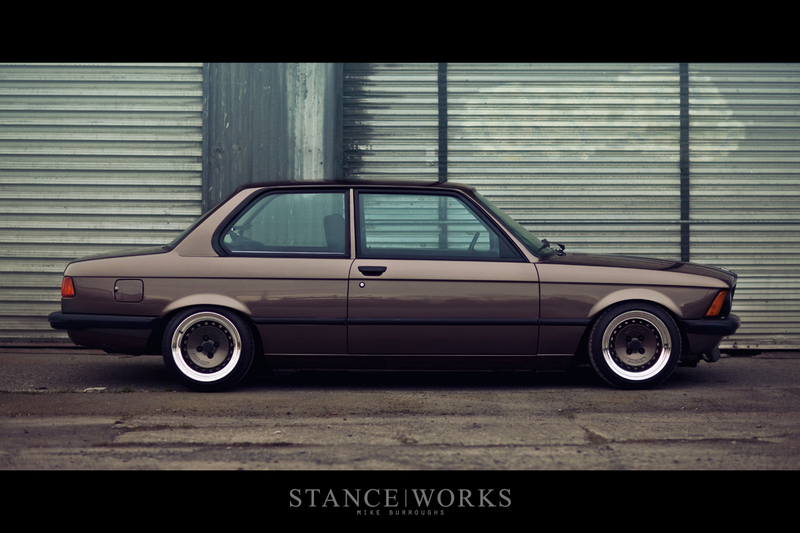 For many, it represents the king of the E21 game; with the E21 quick on the rise in popularity, there are few cars built as well, as cleanly, and with such independence to style and character. 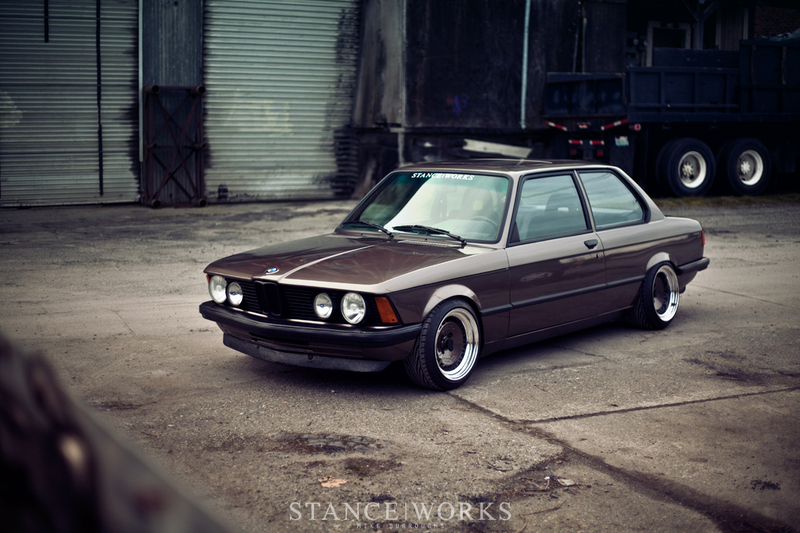 It is the quintessential E21 in more than my own eyes. For me, however, the car is the embodiment of inspirations, motivations, and one of my most cherished friendships. As I've watched over the past few years as the car transformed from its previous incarnation to the jaw-dropping automobile it is now, I've been able to watch the joy it has brought Nic and Stephanie, and those around them. It's more than just a beautiful piece of machinery; there's something special about it, and anyone who has been privileged with it's presence will say the same. The passion one puts in to their automobile speaks directly to the passion they put in to the things they love. 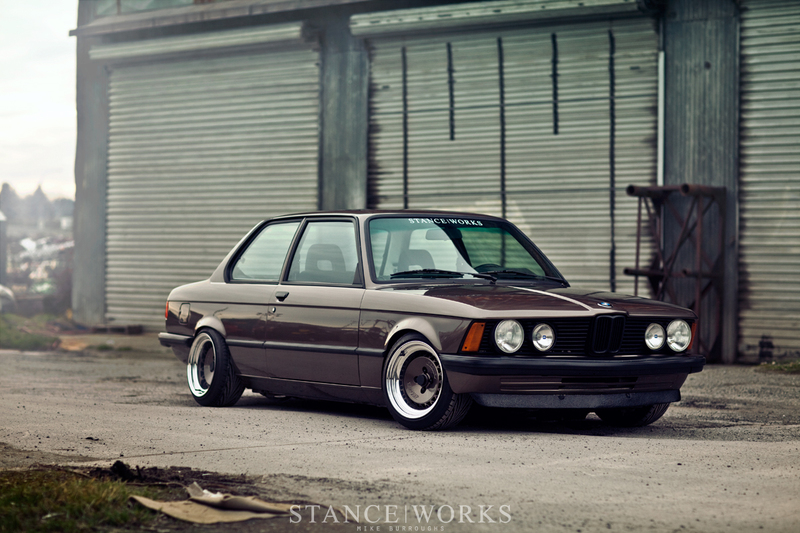 The E21 is the embodiment of Nic's attitude and outlook on everything he does. No corners cut and every bit of heart he has to offer, be it towards his car, his friends, or his wife. Whether you've read the words on the page or just enjoyed the photographs, I can only hope Nic's car can inspire at least one other person to set out and build their car. Maybe the influences I've felt from his car can be shared by others; perhaps this ends as a personal exposition of my inspirations. Nevertheless, there's much more to come from Nic and Stephanie, and words can do no justice. Here's to someone who inspires many and a car that inspires even more. I watched this build happen over the last few months it was completed. Touches like the matched Ronal’s and the custom houndstooth interior bits are what really set this car apart. Beyond classy, great seeing it again after 4 years. This car is amazing, actually its the nicest e21 that i have seen and i love the paintjob, could you please tell me the colourcode? 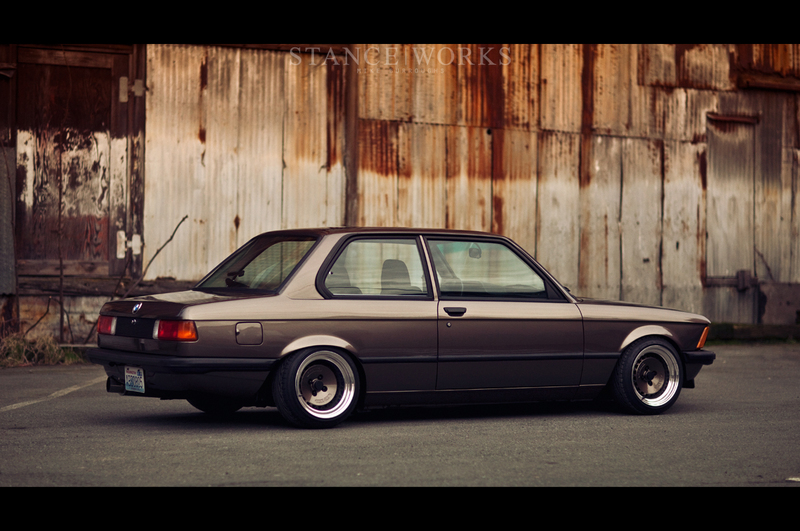 the must beautiful E 21 in the actuality!!! What color is this car? 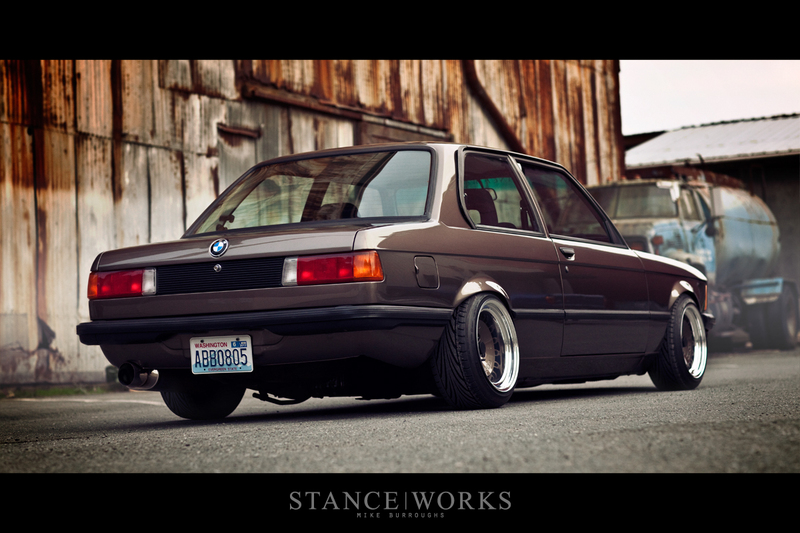 This is the basis of my E21 build. My inspiration. of course mine is a little different, and i plan to keep it as such with the Factory Cypress green and Tan interior, but i want to build something classy, clean, yet still sophisticated.